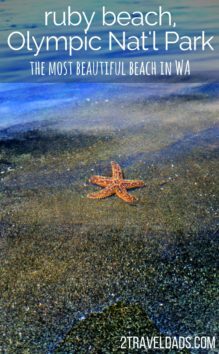 Does anybody think of Washington State as a beach destination? Not hardly, but that doesn’t mean that we don’t have the most beautiful beaches around. True, totally missing the palm trees, but we make up for it in other ways. 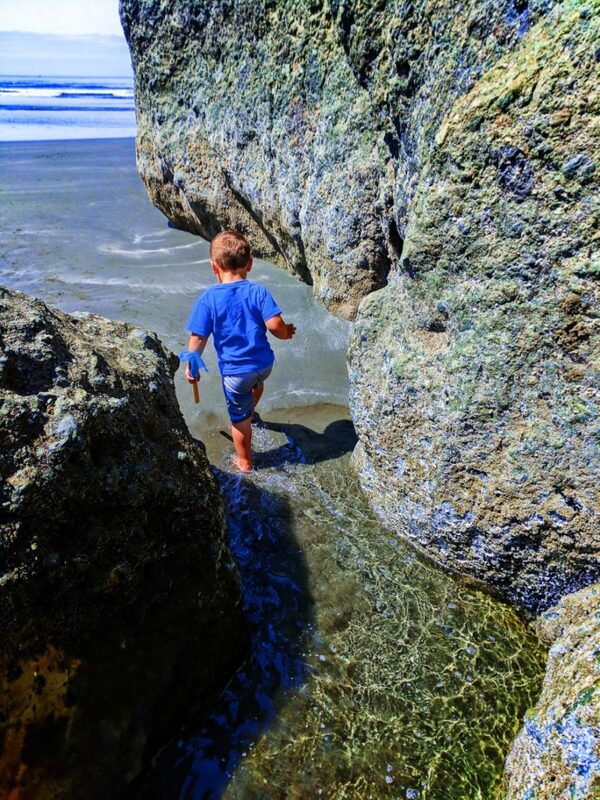 Of all we’ve been to, the most beautiful beach in Washington is for sure Ruby Beach in Olympic National Park. 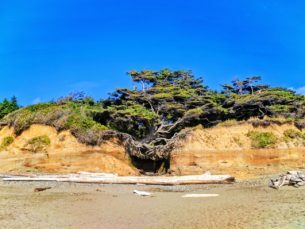 What makes Ruby Beach so awesome and dramatic? It’s the stacks, the weathered wood, the wildlife, the muchness of it all. 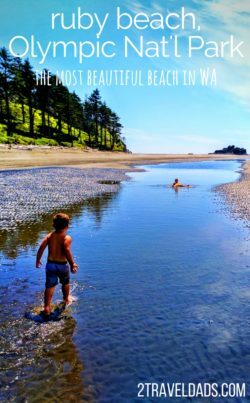 We’ve got the scoop for how to visit and have an unforgettable time at the most beautiful beach in Washington. 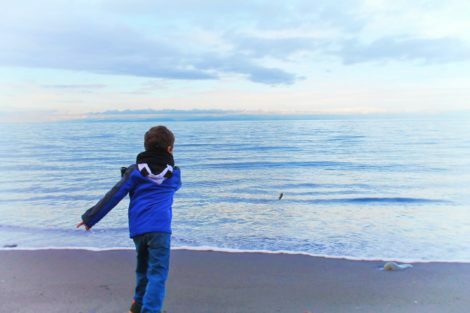 One of the things that makes Ruby Beach the most beautiful beach in Washington is its remote location. 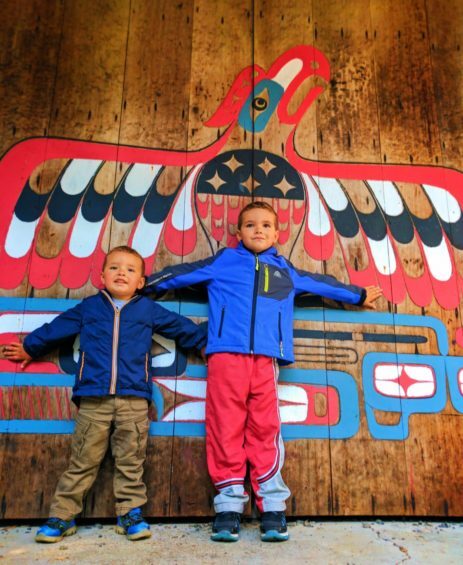 Located just over three hours from Seattle and a little more than 2 hours from Olympia, it’s not exactly a day trip. If you’re making the trek that far you should plan on spending a few days both at the beach and in the rainforest. 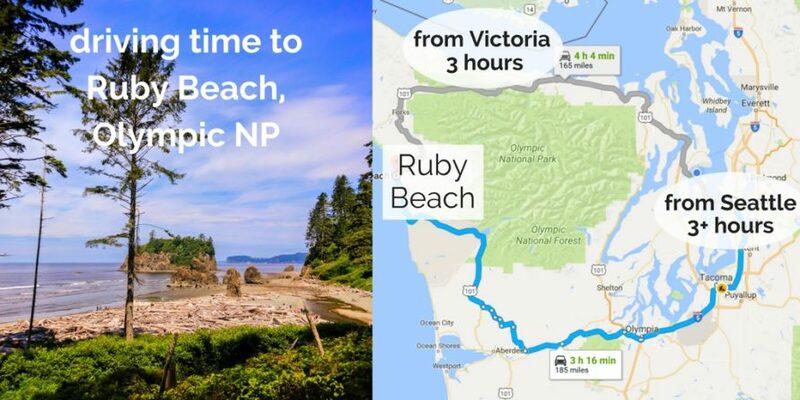 Yes, Ruby Beach is very near both the Quinault and Hoh Rainforest areas of Olympic National Park. See, already you’ve started forming an awesome travel plan encompassing beaches, forests and more. 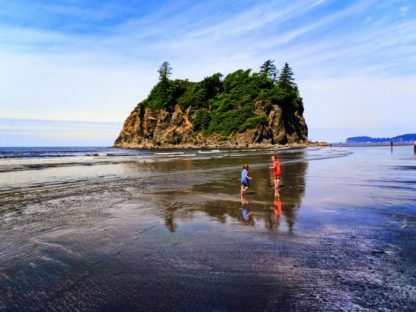 Tip: a weekend trip is plenty of time to do Ruby Beach, as well as the beaches of Kalaloch and La Push. 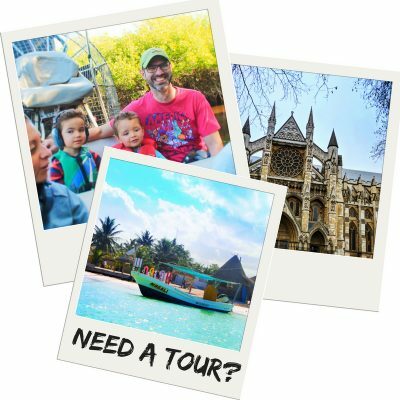 If you can do three nights, that’s really best because then you can add in the rainforests to your plans. 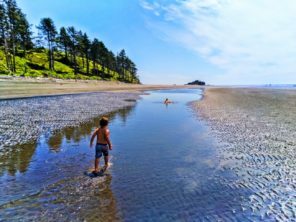 There are a few options for staying in Olympic National Park’s western reaches. 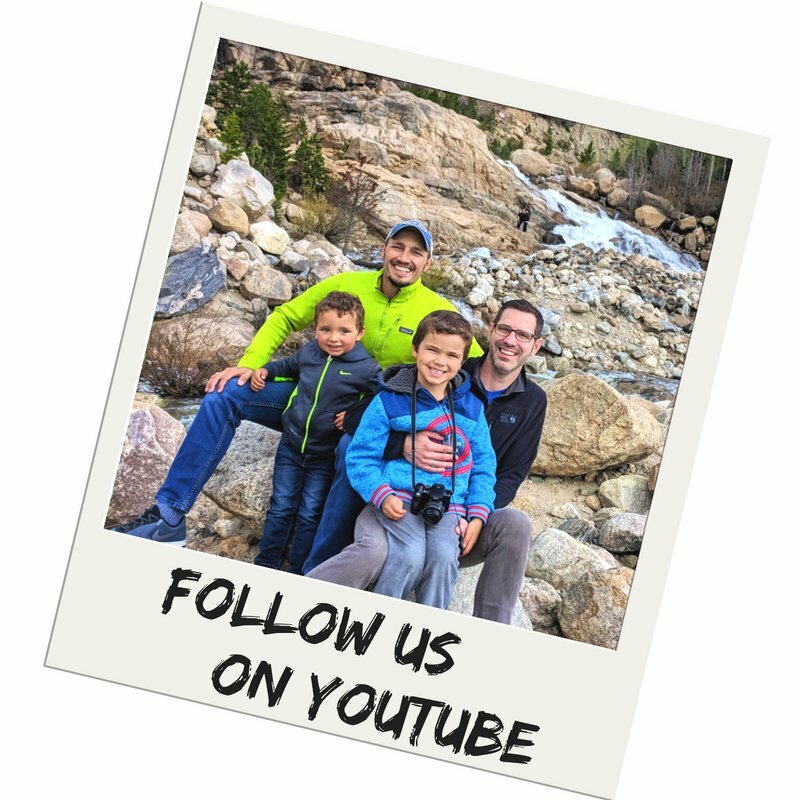 We’ve done a cabin on the Sol Duc River, which you can search for via VRBO or AirBNB (search “Olympic Peninsula” or “Forks”). We’ve stayed in a beautiful bed and breakfast in Port Angeles, Domaine Madeleine, which is just under two hours from Ruby Beach. 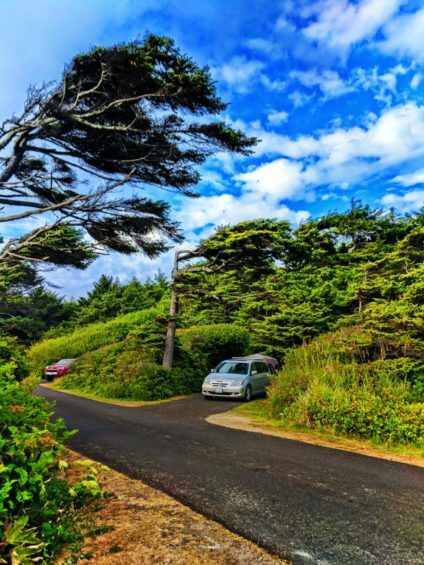 We’ve also camped nearby at Kalaloch, which is an Olympic National Park campground. 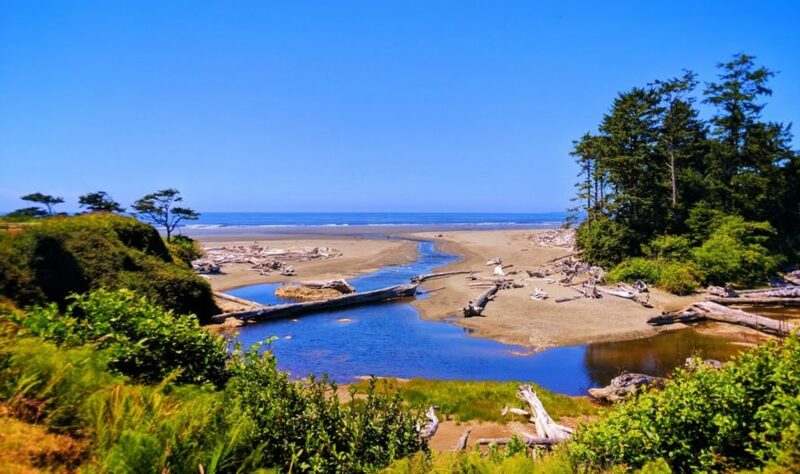 If you’re looking for more specific lodging options, the Lodges of Olympic National Park have several different properties around the west side of the Park which may be good options. We’ve not stayed at any of them but the Kalaloch Lodge and Lake Quinault Lodge are both in the relative area and seem quite nice. Tip: whether it’s camping or lodging, make your reservations at least a month in advance, and even then you may be cutting it close. 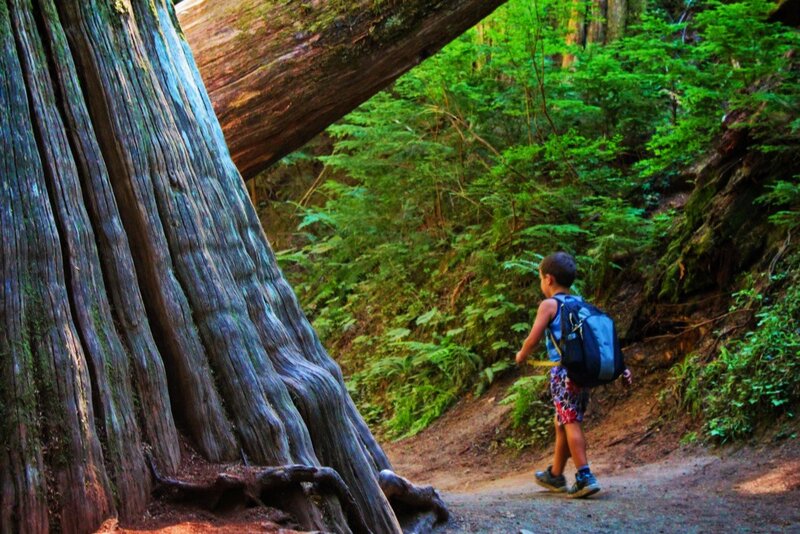 People love Olympic National Park and will plan their trips a year out even. 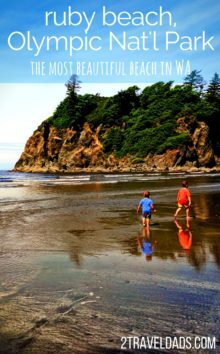 What makes Ruby Beach the most beautiful beach in Washington isn’t just its sand, but it’s the whole experience. 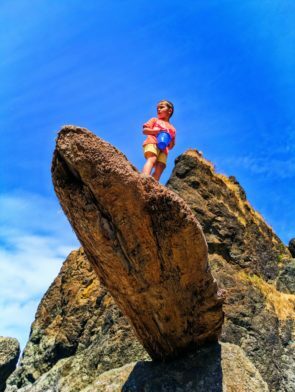 It’s the type of place that young, curious explorers and more mellow beach goers can all enjoy alike. And it’s a photographer’s dream. 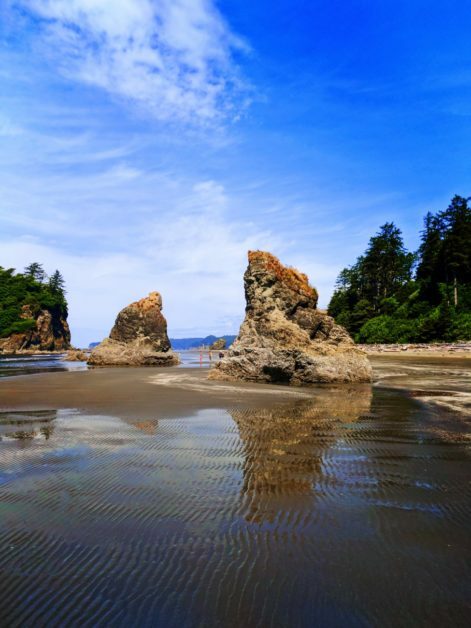 THE LAW: Ruby Beach is a part of Olympic National Park which means it’s fully protected. 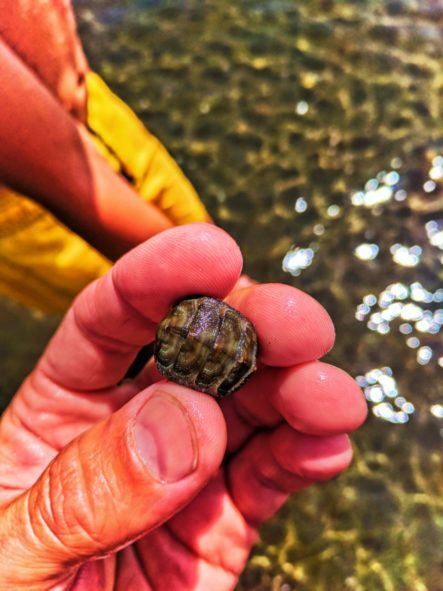 Take nothing from the beach, because you’ll be in trouble. Also, know that the use of drones in National Parks is illegal and if a ranger catches you, you’ll be in big trouble with fines and potential confiscation. You know we love driftwood. 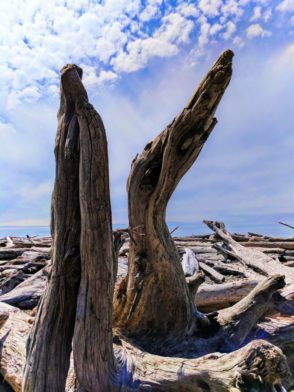 From the Dungeness National Wildlife Refuge to Driftwood Beach on Jekyll Island, Georgia, we love to seek out the salt and sun bleached logs. 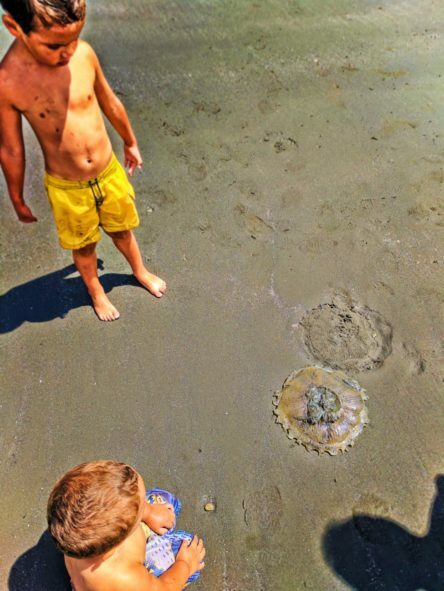 The kids love to climb them and see what cool flotsam they can find. 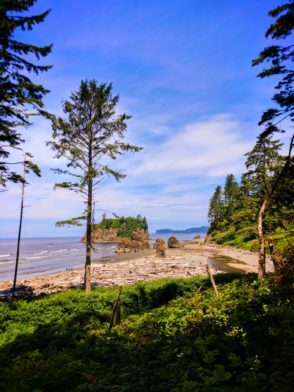 Ruby Beach is loaded with diftwood in its highest parts and up the creek, so there’s plenty to check out. Note: to access the beach itself you do have to cross the driftwood. There are spots where it’s really easy, so don’t worry if you’re not surefooted, but know that you will need to crawl over a log or two. If you’re not familiar with the term, sea stacks are in reference to the large rock formations found just off beaches, like tiny islands, usually home to all kinds of sea birds and sometime sea lions. The stacks at Ruby Beach are gorgeous with a lot of interesting erosion and tidepools around their bases. There are a few rocks here that actually have tidal windows going through them, meaning that there are arches and holes in the middle of the stacks. Really cool. If you want to explore the stacks and climb on the larger ones, you can access them, but remember that you’re in a National Park. National Parks are protected lands with specific trail systems and guidelines around meadow-stomping. Be smart and respectful if you choose to explore beyond the beach. 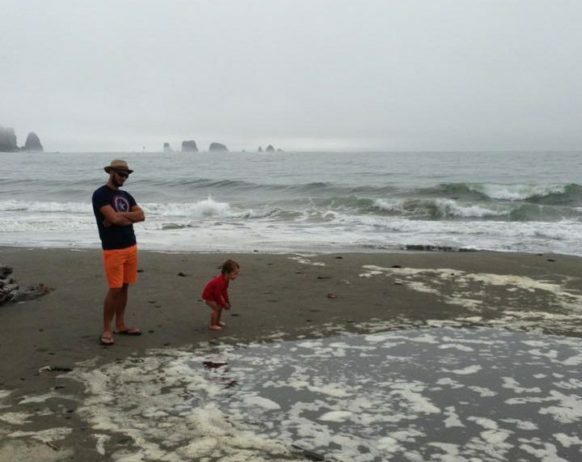 Tip: if you go out onto the larger sea stacks, beware of the incoming tide. You could get stuck out there for several hours if you’re not into swimming in the cold water. 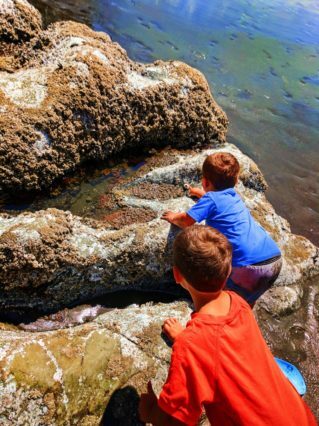 Who loves tidepools more: the kids or me (Rob)? It’s a tough call, but there were plenty to explore here at Ruby Beach. The tidepools here are really fascinating for both their beautiful wildlife and interesting formation. Most tidepools you’ll see are found on the top surfaces of rocks, exposed when the tide goes out. At Ruby Beach there are those kinds and also tidepools around the bases of the stacks, the pool having a rock wall and then sand for the rest of the edges. The primary wildlife we found in the tidepools here was sea anemones. There were a wide variety of colors, from deep greens and pinks to white and grey. 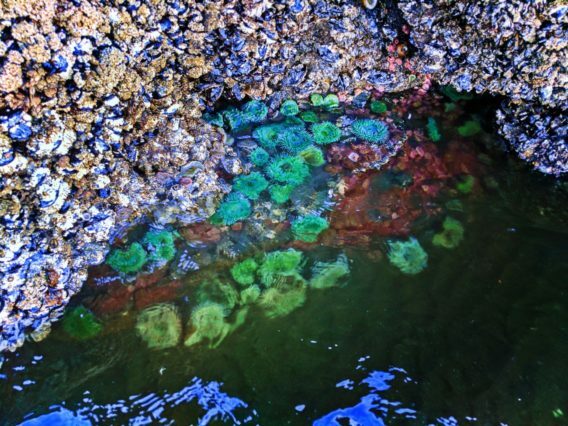 There were some passages in the deeper tidepools with thousands of anemones lining the rocks. Tip: if you find a rock overhang near the water, look under it and check for hanging sea anemones. They’re totally weird and super cool to find. 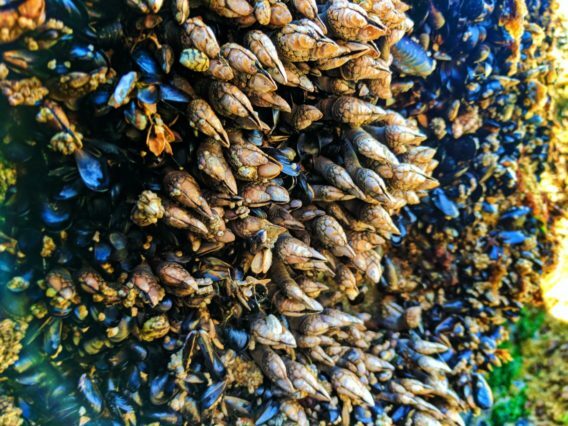 Other wildlife in the Ruby Beach tidepools included long neck barnacles, snails, crabs, and sculpins. 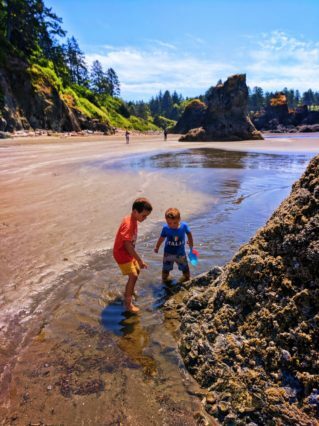 If you’re really lucky, Pacific Northwest tidepools will also sometime have creatures such as sea cucumbers, nudibranches, and sometimes even small octopuses. Keep your eyes peeled! We love a good sandbar. Ft Myers Beach in Florida has an amazing one that remains mostly covered at low tide. 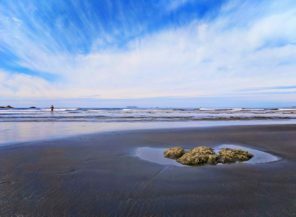 The sandbar here at Ruby Beach is exposed at low tide and actually has a continual flow of water separating it from the rest of the beach. It’s perfect for kid play time where the water is warmer than the ocean and deep enough for totally safe fun. Note: always watch your kids carefully when they’re playing in water. 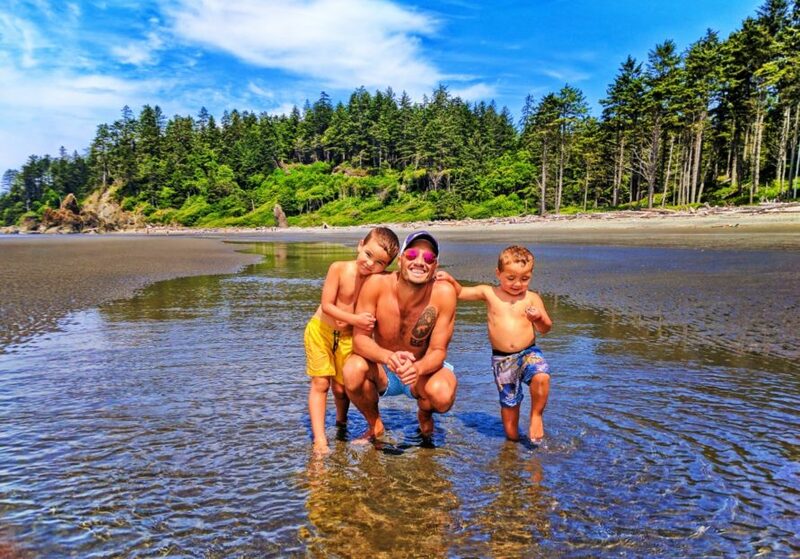 It doesn’t take very much water for a small child to drown and it’s more important to keep a safe and watchful eye on your kids than to take a nap on the beach. 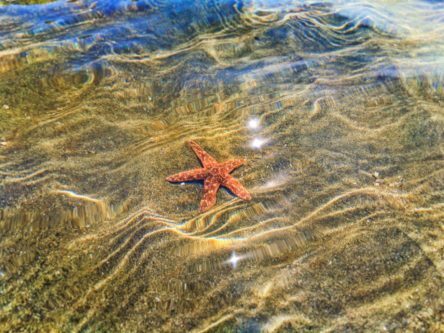 In the water between the sandbar and the beach there is an awesome phenomena to check out: a sea star nursery. Here in the Pacific Northwest our sea star population has all but disappeared due to the sea star wasting sickness, which they still haven’t solved. 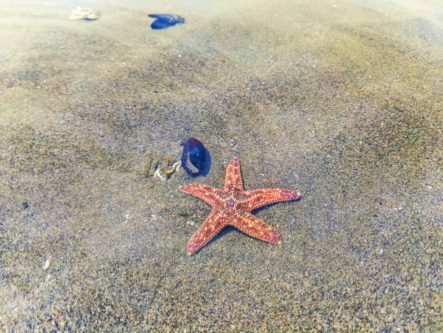 Finding young sea stars in the protected waters of Olympic National Park was exciting and felt encouraging, as perhaps the sea stars are making a comeback. Tip: respect any wildlife you encounter, ever. Whether it’s bison in Yellowstone National Park or sea stars in Olympic National Park, know that they have their own struggle to survive, so let them be. 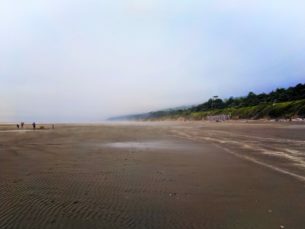 Close to Ruby Beach are beaches 1-4 of Kalaloch. Each is a bit different, but they mostly have far stretches of sand and lots of space for playing and relaxing, especially at low tide. To the north, just past the town of Forks are the beaches of Mora and La Push. 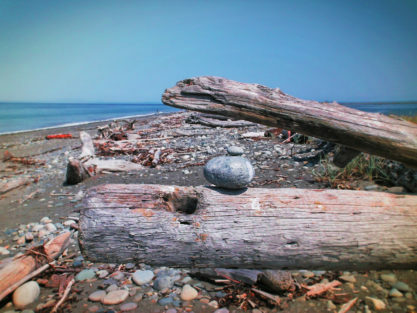 Again, amazing driftwood, some beautiful sea stacks and great sand. La Push also has the Quiliyute River hitting the ocean right there, so it’s a fun place for kayaking if you’re into river paddling. 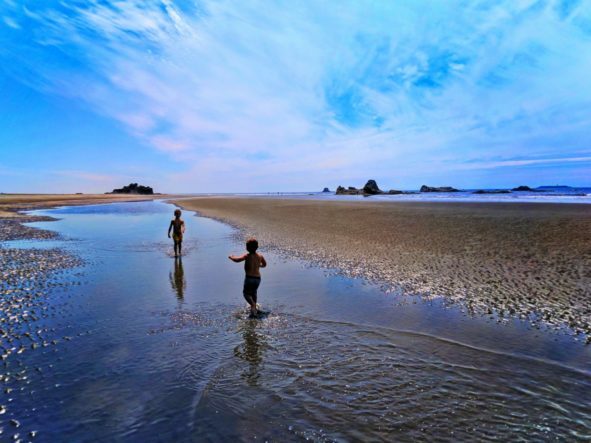 These beaches are also a part of Olympic National Park so are protected just like Ruby Beach. This means you take nothing from them, pack out all of your own trash, and no drone usage is allowed. Follow the rules and the protected beaches will continue to be incredible places to visit with friends and family. 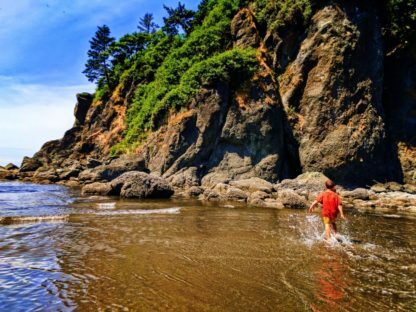 Now, are you totally ready to carve out some time and make the trek to Ruby Beach? 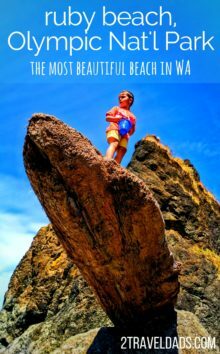 Really, it’s the most beautiful beach in Washington, in our opinion and you’ll be so glad you went. 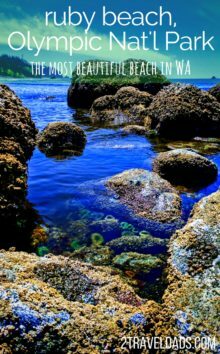 If you’re just now plotting out a bigger vacation to Washington State, we’ve got even more recommendations for the prettiest spots in Washington, so check them out too! 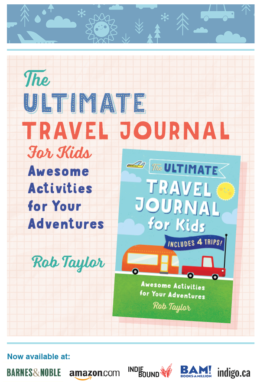 Want to pin this for later for you travel planning? Go for it! You’ll be glad you did. 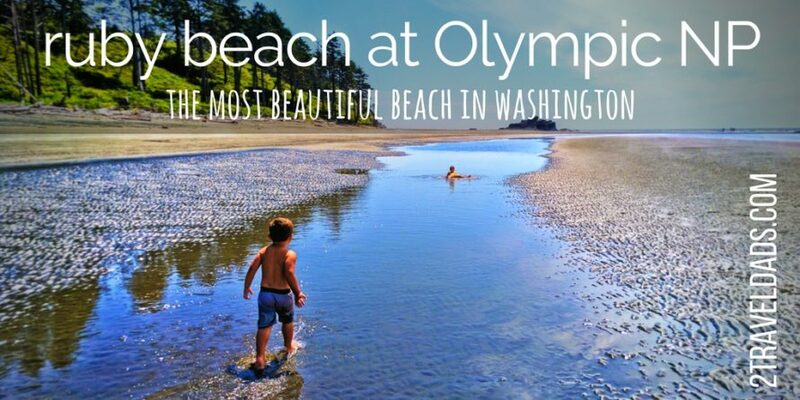 I have definitely dreamed of the road trip along the Olympic Peninsula with Hoh and Ruby Beach (and maybe a hot springs) as the keystone elements. Looking at all the driftwood and sea life would more than make up for not having palm trees. I still haven’t made it to Washington, but I love how rugged the beaches are, way different than here in Florida! I am trying to tackle all of the national parks do this might go higher up on my bucket list! I love how each national park is different from the rest! We’ve been to Washington a few times, but we’ve never visited the beach there. I’ll have to put it on the list for next time we go to the USA. I totally understand the feeling of a subtropic vs. tropic beach. They’re totally different but still stunning. This national park is so stunning and awesome! I would definitely love to visit this place and hike there. When’s the best time of the year to explore it?